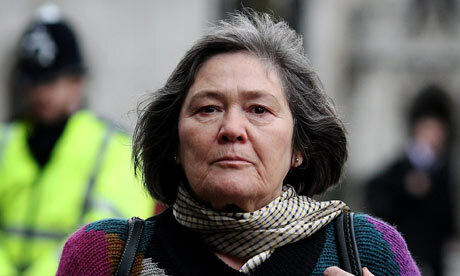 Clare Short, the former international development secretary, today accused Tony Blair of lying to her and misleading parliament in the build-up to the Iraq invasion. Short, giving evidence to the Chilcot inquiry into the war, also said that the 2003 conflict had put the world in greater danger of international terrorism. Declassified letters between Short and Blair released today show she believed that invading Iraq without a second UN resolution would be illegal and there was a significant risk of a humanitarian catastrophe. • Letter from Clare Short to Tony Blair on humanitarian planning and the role of the UN, 14 February 2003 (pdf). 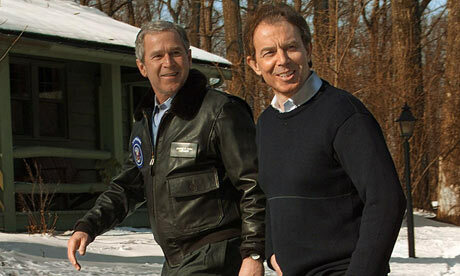 • Letter from Short to Blair on the UN and US roles in post-conflict Iraq, 5 March 2003 (pdf). An internet-based “people power” campaign is asking its 60,000 members to draw up the “tough questions” that Tony Blair must be asked when he is questioned by the Iraq inquiry this year. 38 Degrees, a group set up last year in memory of the Body Shop founder Dame Anita Roddick, wants to ensure that Mr Blair is not let off the hook or allowed to answer the most sensitive questions in private. Although Sir John Chilcot, the former Whitehall mandarin chairing the inquiry, has insisted that Mr Blair will be questioned mainly in public, critics of the 2003 invasion fear the former prime minister may cite national security in an attempt to ensure some of the hearing is behind closed doors. Why did you insist that Saddam Hussein’s weapons of mass destruction were the reason to attack Iraq? Did the Bush administration threaten, tacitly or otherwise, to withdraw American investment from the UK if it did not support the invasion? Why was there no strategy to rebuild Iraq following Saddam’s overthrow? What was the total value to the UK and its businesses of contracts arising directly from the Iraq invasion? Why does the UK Government support the creation of new governments which oppress women more than their predecessors did? 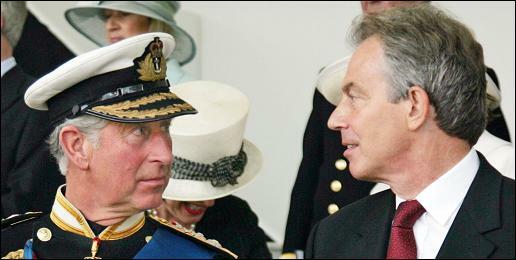 PRINCE Charles was so convinced Tony Blair was WRONG to take Britain to war in Iraq he broke Royal tradition and actively campaigned against the invasion, the News of the World can reveal. ATTACKED the then prime minister’s stance, mockingly calling him “our glorious leader”. BLAMED American president George W Bush for action he believed to be misguided after reviewing secret intelligence. WARNED the war would only stir up more serious trouble in the region. ACCUSED western leaders of failing to deal with what he feels is the real cause of Islamic unrest – the Israeli-Palestinian conflict. Our extraordinary revelations – from the most impeccable inside sources – are certain to pile pressure on former premier Blair as he prepares to give evidence to the Chilcott inquiry into the war. And they come as ex-PM Sir John Major twisted the knife yesterday, accusing Blair’s handling of the 2003 invasion of damaging trust in the UK political system more than the expenses scandal. Before the Iraq war was launched in March 2003 the world was given the impression by the US and Britain that the goal was to eradicate weapons of mass destruction. Recent comments by Tony Blair suggest, however, that regime change was the essential aim. He would have thought it right to remove Saddam Hussein even if he had known that there were no WMD, he said, but he would obviously have had to “deploy” different arguments. Must we not conclude that the WMD arguments were “deployed” mainly as the best way of selling the war? Blair’s comments do not exclude a strong – but mistaken – belief in the existence of WMD even when the invasion was launched. However, given that hundreds of inspections had found no WMD and important evidence had fallen apart, such a belief would have been based on a lack of critical thinking. I tried to contact Mark Higson the other day, only to learn that he had died nine years ago. He was just 40, an honourable man. We met soon after he resigned from the Foreign Office in 1991 and I asked him if the government knew that Hawk fighter-bombers sold to Indonesia were being used against civilians in East Timor. Blair’s Iraq WMD admission: did he mislead Parliament? Tony Blair’s confession that he would have taken Britain to war in Iraq even if he had known Saddam Hussein had no ­weapons of mass destruction leaves him more vulnerable to legal action, a leading international lawyer warned yesterday. Professor Philippe Sands QC, director of the Centre of International Courts and Tribunals at University College London, and a member of Cherie Blair’s Matrix law chambers, said the former prime minister’s admission that he would have deployed “different arguments” besides the weapons to justify the war and the removal of Saddam, means “he fixed on the policy first and then found the justification”. Who will turn the heat on Tony Blair over Iraq? Hans Blix, head of the UN weapons inspectorate in 2003, said that Mr Blair’s confession to Fern Britton had left a “strong impression of a lack of sincerity”, adding that the WMD argument was a “figleaf”.